Following an injury, returning to a prior level of fitness and athletic ability can be difficult. Athletes need to consistently train and exercise to keep their bodies responsive and capable, and not only does an injury hinder this, but the body’s healing processes can interfere with future activity. 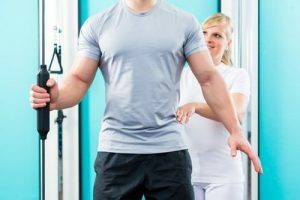 Sports performance physical therapy with trained therapists helps improve and quicken rehab after an injury, using a multidisciplinary approach to understanding and restoring physical function. When damaged by acute injury or repetitive stress over time, joints, muscles and other soft tissues heal by forming fibrous scar tissue instead of healthy tissue. If left to themselves, these adhesions stiffen and disrupt the normal movement of muscles and joints. Careful exercise during recovery helps keep fibrous tissue from becoming stiff, maintaining muscle memory and allowing strength and flexibility to be restored. Proper performance therapy is designed with these mechanics in mind to promote ideal recovery during the critical window following an injury. No one body part functions independently of the whole. Athletes need to maintain strength, mobility, dexterity and stability, and this comes from bones, muscles, joints and nerves working in tandem. Performance therapy is built on this. 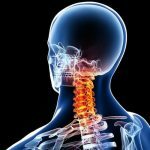 The Selective Functional Movement Assessment (SFMA) is used as the standard to assess not just the physical location of pain and injury but how it arises from dysfunction with the rest of the system at work. Functional exercises aid in recovery both by maintaining the healing tissues and by rebuilding the capacity of the full kinetic chain across bone, soft tissue and the nervous and cardiovascular systems. Not every injury is the same. From triathletes and professional sports players to yoga practitioners and weekend warriors, how an injury occurred is critical. The therapist works with the patient to identify weaknesses brought on by injury and the ideal model of performance needed for the athlete. For professional athletes, the coach is consulted as well. A specific plan for treatment and rehabilitation can be enacted, providing a clear goal and a path to that goal, using all the tools and facilities available to the therapist.